A preview of the festival of arts, sciences, current affairs and more. 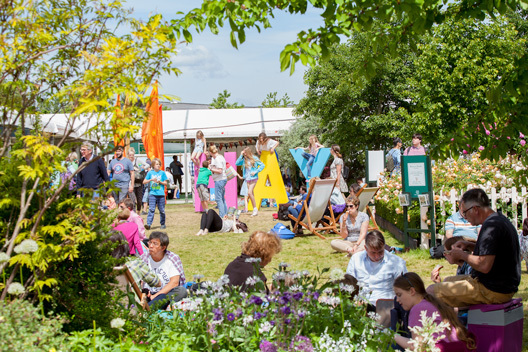 Hay Festival has today announced the programme for its 31st edition, taking place 24 May to 3 June in Hay-on-Wye, Wales. Featuring over 600 of the world’s greatest writers, global policy makers, pioneers and innovators in 800 events across 11 days, the festival showcases the latest ideas in the arts, sciences and current affairs, alongside a rich schedule of music, comedy and entertainment for all ages. Psychologists and neuroscientists form an important part of the festival – Ruby Wax presents her new manual to the mind, How To Be Human; neuroscientist Sarah-Jayne Blakemore talks Inventing Ourselves: The Secret Life of the Teenage Brain; Suzanne O’ Sullivan presents Brainstorm – Detective Stories From the World of Neurology; neuroscientist Ed Bullmore talks The Inflamed Mind: A new way of Thinking about Depression; and Cordelia Fine presents Testosterone Rex: Unmaking the Myths of our Gendered Minds; Rita Carter presents The Brain in Minutes; Neuroscientist Gemma Modinos is spotlighted in The Royal Society Platform: The Next Big Things; Helen Thomson talks Unthinkable: An Extraordinary Journey Through the World's Strangest Brain; Terri Apter explains Passing Judgment: Praise and Blame in Everyday Life; journalist Johann Hari talks Lost Connections; Hannah Critchlow joins Rowan Williams to discuss consciousness; and neuroscientist David Adam presents The Genius Within: Smart Pills, Brain Hacks and Adventures in Intelligence. The Festival site is free to enter, with ticketed events in 10 tented venues, plus a range of sites to explore, including the Festival Bookshop; the HAYDAYS courtyard; the Hay Festival Wild Garden; creative workshops in the Make and Take Tent, the Scribblers Hut, The Cube and the Mess Tent; and market stalls, cafés and restaurants. - View the full programme at hayfestival.org. Booking opens today to Friends of Hay Festival online or via 01497 822 629; public booking opens Thursday 29 March.